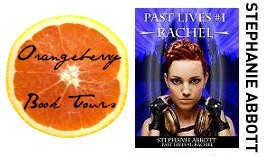 We’ve signed up with Orangeberry Book Tours and we’re hosting Stephanie Abbott today. Her new book, Past Lives #1 – Rachel, was released at the beginning of 2012. 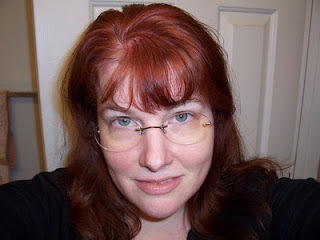 Welcome, Stephanie, and thanks for stopping by Literary Obsession! “Easy. I’d snap my fingers and have the entire resources of the Chamberlain Foundation at my disposal. Once upon a time, a shadowy group of telepaths called the Order ruled Britain, and by extension, the Western world. They dated back to at least medieval times and by the Renaissance they’d already amassed a wealth of knowledge to rival the Vatican. Now that the Order is gone, only the Chamberlain Foundation remains. They knocked down the Serapeum, the Order’s original base of operations, and built a glittering modern skyscraper atop it. Inside that building are reams of historical documents – top-secret stuff that’s never seen the light of day, like details on Queen Elizabeth I’s telepathic advisor and her telekinetic assassin. Art, too, including paintings of liches: telepathic vampires who cheat death by shifting from body to body. And someone inside there are all the details about Cassandra Masters, the woman I used to be in 1870s London. How she lived, her relationship with the two men she loved, and how she died. In its last days, the Order kept scrupulous records about everything, especially as it pertained to bloodlines. Had Cassandra been promised to marry the master telepath, Dominic Belden? Or the fearsome telekinetic, Ted Harrington? Now that the two of them live again in the present day, I’d really like to know which one I chose. I’d also love to know the usual way a telepath is trained in the use of her powers. In my past life as Cassandra, I’d grown up surrounded by psis and was taught to use my abilities they moment they manifested. And when you can read minds, force others to obey you and even gather your psionic energy and throw it like a lightning bolt, training is a good idea. Mind you, for female telepaths, the bar was quite low. The male-dominated Order refused to train us for dueling. We weren’t even selected for covert missions to enforce the Order’s political will across the globe. No, we were expected only to lie on our backs and produce as many viable offspring as possible, since the psi population was in danger of dying out. The men, on the other hand, were trained rigorously from their teens until they attained at least Journeyman level. Dominic, brutalized by his tutors, became a Master telepath. And Ted quickly outstripped his own mentor to become the Order’s youngest, and last, Master telekinetic. By contrast, Cassandra received only secret tutoring from her beloved uncle. Anything more would have been considered unfeminine, and unbecoming.